Upwards of half of the members of Governor Nyesome Wike’s cabinet has indicated interest in defecting from the Peoples Democratic Party (PDP) to the All Progressives Congress (APC). The Rivers State Chapter of APC disclosed this in a statement in which it welcomed the latest set of PDP chieftains and the about 500 decampees from the camps of PDP National Deputy Chairman, Prince Uche Secondus, and former Deputy Governor of Rivers, Engr. Tele Ikuru. The defectors were received last Sunday, 10thJanuary, 2016 in Ikuru town in Andoni, the home local government area of the two PDP chieftains, by APC governorship candidate, Dr. Dakuku Peterside, Senator Magnus Abe, State Party Chairman, Dr. Davies Ibiamu Ikanya, and other APC leaders. The gale of defections continued on Monday 11th January, 2016 when Brigadier-General Elton David Amah (rtd. ), erstwhile Chairman, Security Committee of Wike’s New Rivers Vision Campaign Organisation, and Chief (Hon.) Edwin Oludi, a former Chairman, House of Representatives Committee on Housing & Urban Development, Industries, Police Affairs, joined APC. While on Wednesday the 13th January, 2016, the PDP Ward 8 Rumuomasi in Obio/Akpor LGA Vice Chairman, Mr. Christian Amadi aka Alafin of Rumuomasi and Engr. Onunwo led hundreds of Wike’s kinsmen who were disillusioned by the lack of direction shown by their son, Nyesom Wike controlled PDP in the state to defect from PDP and joined APC. The great event witnessed by Hon. Barr Asita Honourable the incoming Deputy Governor of Rivers State, Hon Chief Tony Okocha, Hon Chief ike Chinwo, Chief Emeke Bekee the State Secretary of APC. Barr Asita while addressing the people assured them of a good and focused leadership, quality education for the youths and importantly security of lives and properties in the incoming government of Dr. Dakuku Peterside. He further urged the crowd of party faithfuls to remain resolute in their quest for a better and greater Rivers state. “We warmly welcome these decampees into our fold, even as we eagerly look forward to receiving almost half of the members of Wike’s cabinet who have been making overtures to us, saying that they see no future for both Wike and PDP in our great State,” Rivers APC said in a statement signed by Dr. Ikanya and issued Thursday in Port Harcourt. 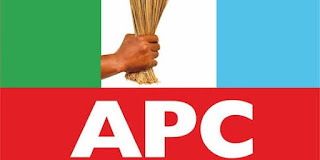 The statement commended the defectors for their timely action, assuring them that Rivers APC will give equal opportunities to both old and new members of the party. It advised those still in PDP to emulate the defectors without delay as the days of Wike and PDP in the Government House will soon end. “The truth is that there is no escape route for Wike and Rivers PDP in view of the various appeal court rulings nullifying the fraudulent elections conducted under the watch of Rivers INEC REC, Dame Gesila Khan, and ordering re-run elections in the State, which APC is poised to sweep on account of PDP’s ill reputation and Wike’s disastrous seven months in power,” the statement said. Rivers APC dismissed the rumour being peddled by the Special Adviser to Wike on Inter-Party Matters, Pastor Chris Tamunoala, that the governor’s erstwhile Special Adviser on Media and Publicity, Sir Opunabo Inko-Tariah, dumped PDP for APC because Transportation Minister, Rt. Hon. Chibuike Rotimi Amaechi, induced him financially. “This is not only malicious but also brings to question the credibility of those working for the outgoing Care-Taker Governor of Rivers State, as Sir Inko-Tariah in his resignation letter unequivocally cited the inhuman treatment meted to him by Wike as the principal reason for his exiting the doomed government,” Rivers APC said. It made it clear that neither the party nor Amaechi has any reason to induce anyone to join APC as the party’s track record of performance and PDP’s dismal stewardship are enough reasons for any discerning PDP member to dump the party for APC. To us in the APC, Minister Amaechi’s assistance to Sir Opunabo Inko-Tariah is characteristics of his concern and compassion for any Nigerian in need if he is in position to help. For him to assist Opunabo who have severally castigated him only point to the fact that Amaechi is a good natured leader. He once demonstrated this to Pastor Obuah, the PDP State Chairman when he sponsored him abroad for proper medical attention not minding their political differences. To Amaechi rendering assistance to any Rivers State man is the only act that gives him joy. The fact remains that Sir Opunabo INko-Tariah was already in the US and had resigned already when Rt. Hon. Rotimi Amaechi did what he did, so his resignation had nothing to do with Rt. Hon. Rotimi it is apparent that Gov Wike is yet to recover from the shock of Opunabo’s resignation and will stop at nothing to sully his reputation. The party stated.